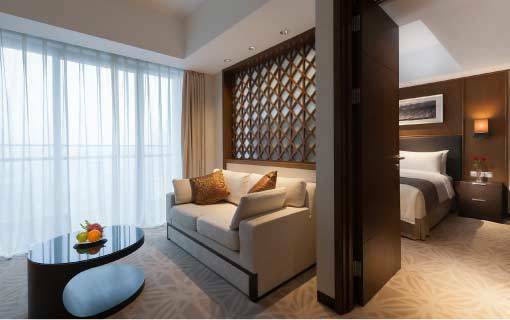 Designed with a modern and oriental touch, Marco Polo Lingnan Tiandi Foshan is ideally located in the central Chancheng District at the junction of Zumiao and Renmin Roads. 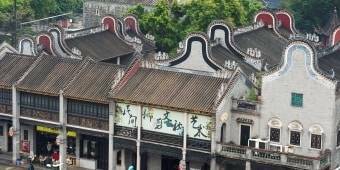 The hotel is adjacent to the Ancestral Temple and the beautiful Foshan Lingnan Tiandi. It's only 5 minutes' short walk to the Zumiao subway station and 55 minutes’ drive to the Guangzhou Baiyun International Airport. The hotel features 390 rooms and suites, including three stylish luxury Villas with private gardens and a variety of 1-2 bedroom serviced apartments. 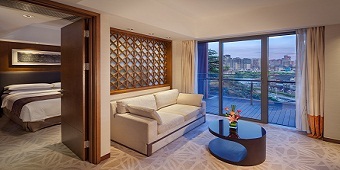 All rooms have private balconies, either overseeing Foshan Lingnan Tiandi or the city centre. For those preferring exclusive comfort and personalised service, The Continental Club guest floors come with unparalleled benefits that have become hallmarks of Marco Polo hospitality. 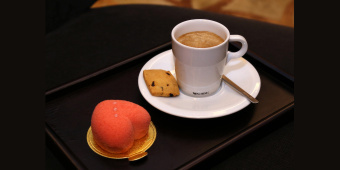 Get together at the Lobby Lounge for afternoon tea. 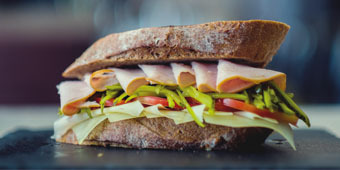 Café Marco is an all-day dining venue offering sumptuous buffets and an extensive à la carte menu. The Deck, overlooking Foshan Lingnan Tiandi, is a relaxed outdoor setting offering snacks and beverages. In a city where “Marriage House” is one of the distinctive traditions, the hotel offers a magnificent Ballroom, a Ceremonial Hall for weddings and 7 well-equipped multi-function rooms. After a long day of sight- seeing or business meetings, take a dip in the indoor pool to unwind or visit the state-of-the-art gymnasium. 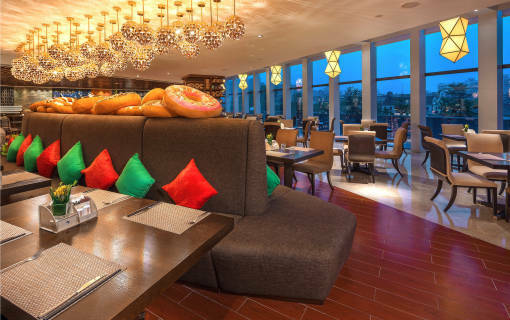 Indulge in the culinary delights from the various restaurants offered by the hotel, spanning from international buffet , A La Carte menu from Cafe Marco to the specialty drinks and snacks served at the Lobby Lounge. 390 rooms and suites, including 3 stylish Villas with private gardens and a variety of 1-2 bedroom serviced apartments. 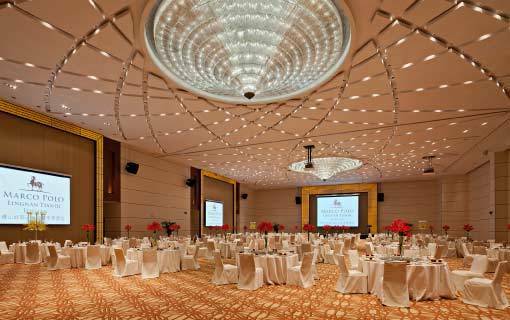 Marco Polo Lingnan Tiandi Foshan offers a magnificent 1,000 seat Marco Polo Ballroom, a Ceremonial Hall for weddings and 8 well-equipped multi function rooms with natural light and landscaped gardens. Please click here to download our property’s most updated hotel factsheet. Stay in comfortable rooms of Lingnan style, enjoy nutritious buffet breakfasts, step into the Ancestral Temple and experience the charm of the ancient architectural treasures with strong Lingnan characteristics. Happy stamps collecting! 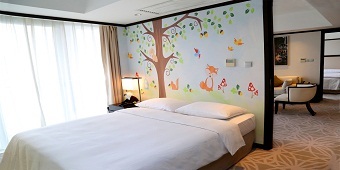 Creating experiences full of surprise for families who stay in the Piccolo Theme Suites. Going all out for the Canton Fair!We bring you a relaxed and worry-free accommodation experience. 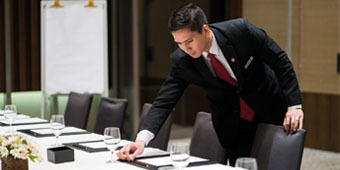 Being away from home, Marco Polo Lingnan Tiandi Foshan has thought of everything you might need during your stay. 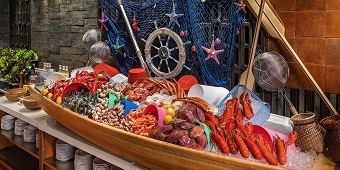 Enjoy our new Easy Fun Package including breakfast and dinner. Click the marker type below to view them on the map.